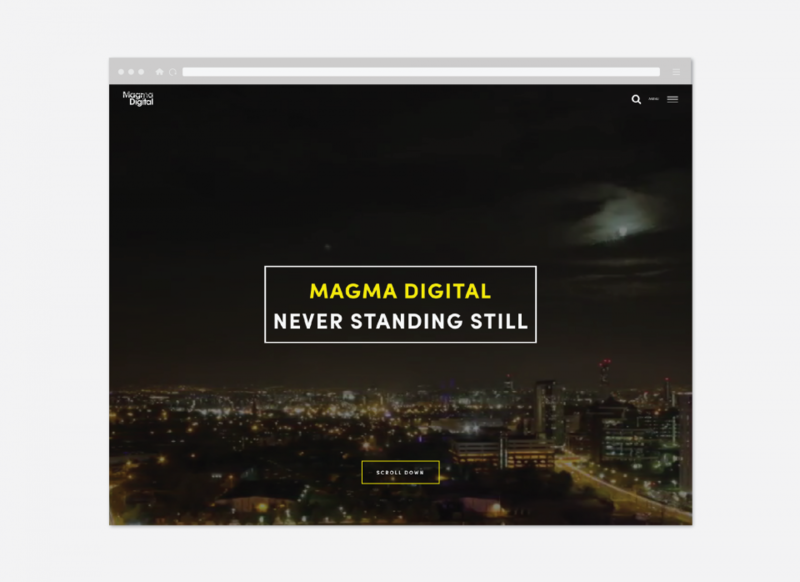 Magma Digital is an award-winning software agency with offices in both Manchester and Preston. 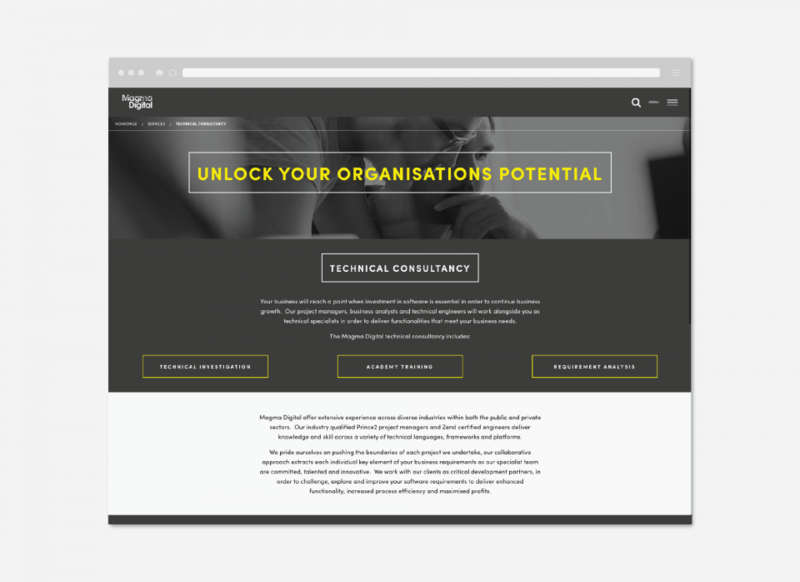 They came to us with the requirement of a brand new state of the art website to showcase their capabilities in developing new business-critical systems and adopting inefficient legacy software and code. They ensure that their clients improve their business processes, maximise efficiencies and increase their bottom line profitability. 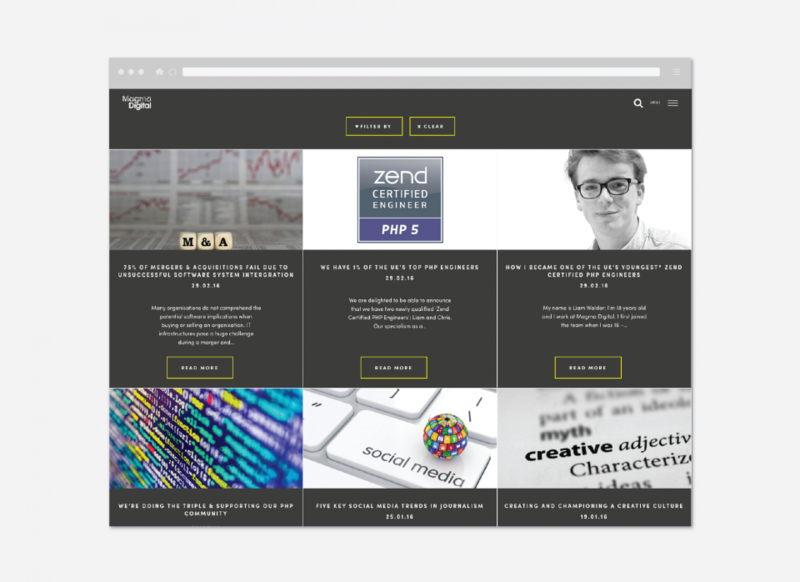 We designed and built a bespoke WordPress brochure website, with a classy and professional design that now stands them apart from their competition. A full-width video of Manchester City Centre was used on the home page, to instantly grab the attention of visitors. 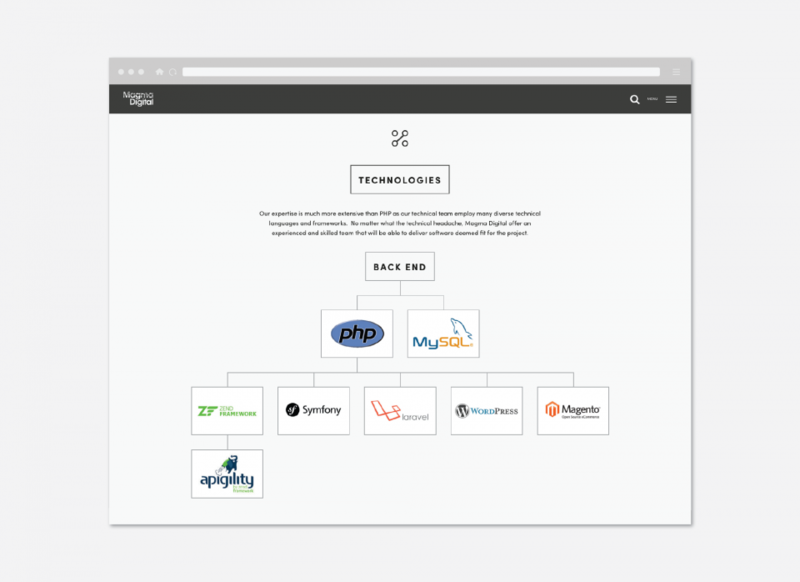 It was imperative that the website got across, in detail the services that Magma Digital offers.